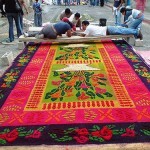 First, the sawdust goes through a screen, to keep any rough pieces from ruining the intricate patterns. 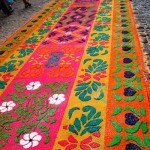 Then the craftsman adds richly colored dyes. 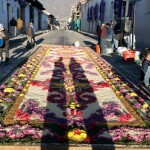 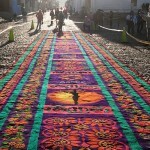 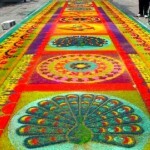 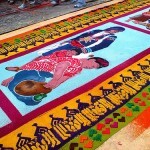 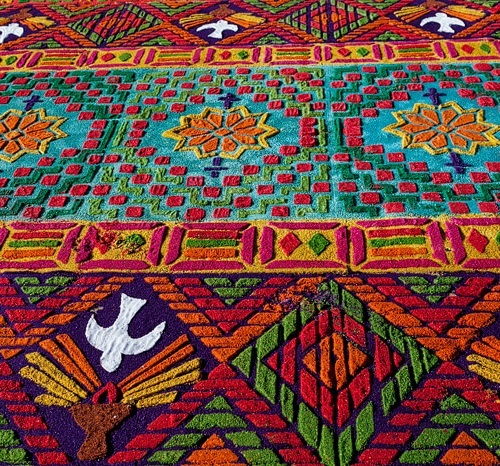 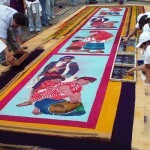 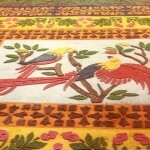 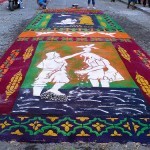 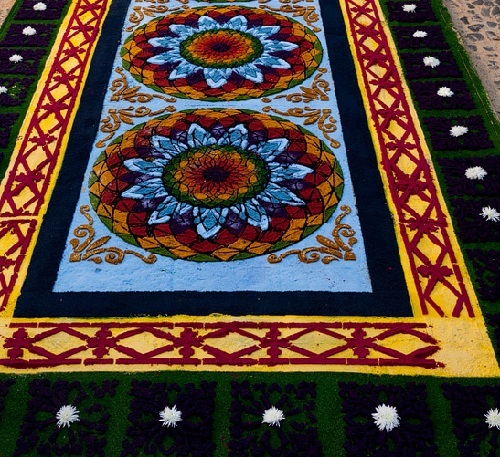 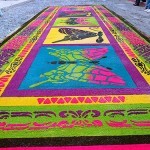 Once the colored sawdust is ready, people start creating theier beautiful alfombras by spreading it over the layer of sand, adding various designs. 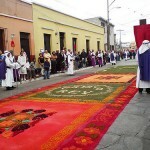 For many, Semana Santa is a week of spirituality and meditation, for others, it is simply a time of rest. 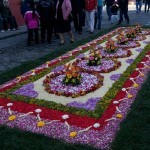 Easter in Guatemala has been a source of various religious manifestations, especially in the field of Catholic beliefs. 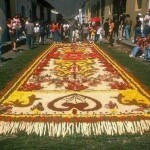 It is also the time for the various demonstrations that come from fine arts to the traditions that mark the identity. 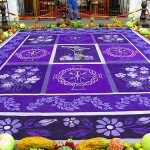 And, apart from the religious aspect, Easter is an important event not only to express different artistic expressions, but to generate economic unprecedented move. 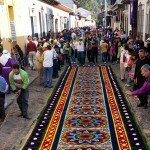 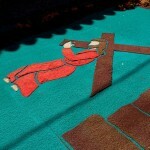 Easter is an inspiration for ordinary people who participate in these events, making literary gems dedicated to the image of Christ – pine sawdust carpets with a range of colors. 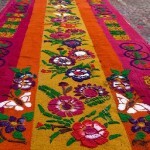 Carpets are made not only out of colored sawdust, but also of fruits, vegetables, and a wide range of other materials. 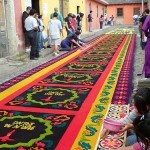 Some take hours of work, made by families, who stay up all night preparing them.